B&H offers the HP Sprocket Zink Photo Printer (White) for $69.99. 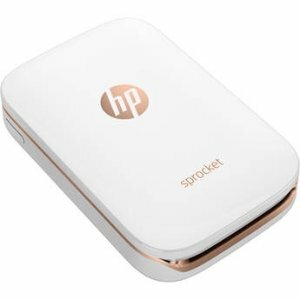 Walmart HP Sprocket (black) for $69.95. Features: Super compact and weighing just 6 oz, the Sprocket is designed to go with you everywhere so you can immediately share prints with your friends as you make new memories. Also, it uses a dedicated companion app for iOS and Android that allows you to set up print jobs, add filters and edit your photos, and pull images from social media.